In the 50th anniversary of the historic decision by the Church of Scotland to ordain women as ministers, Rev Susan Brown is the Moderator-Designate of this year’s General Assembly. Here, Life and Work’s Editor Lynne McNeil speaks to Susan about life in the ministry. Rev Susan Brown is the Moderator-Designate of this year’s General Assembly, which begins this week on Saturday 19 May. 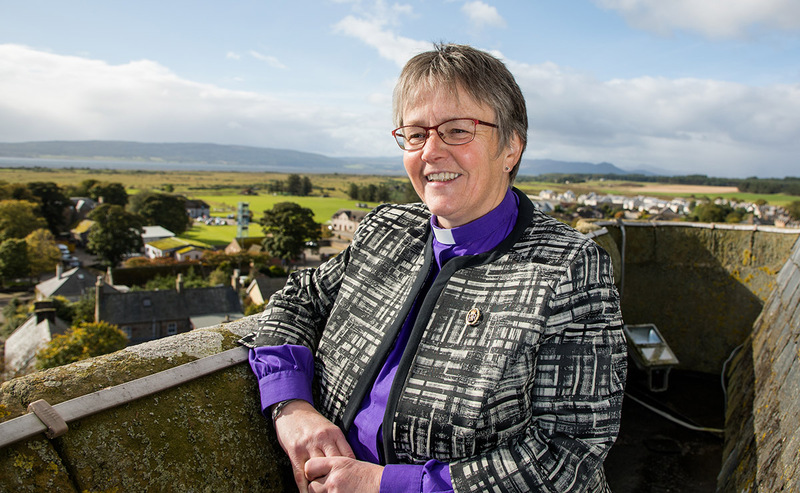 Rev Susan Brown, minister of Dornoch Cathedral since 1998, is honoured to have been chosen as the Moderator-Designate. As one of the first woman ministers to serve in the Highlands – she was called to Killearnan in 1985 – she was also the first woman minister to serve in the presbyteries of Ross and Sutherland and has served as Moderator in both. Barely five feet tall, she is warm, witty and self-deprecating, but brimming with energy, determination and vigour in her drive to serve not only the Church but her local community and the world beyond. It is clear parish ministry is at the heart of all that she does. She is passionate about Dornoch and does not miss an opportunity to promote the Highland town. Her theme for the year is ‘Walking with’, rooted in her early church life, where hillwalking was a regular activity. “Walking is good for your mental health, your physical health and it is good for your spiritual health, as well as for the environment. When you are walking you are talking to people in a different way. Conversations take on different flavours. You and others move – and as you do, you remember life is always a journey – and in that thought we find echoes of the road to Emmaus Road. Born in Edinburgh, Susan grew up in Penicuik, worshipping at Penicuik North. It was here that she first met her husband Derek at the age of ten in the church’s Sunday School. Derek and Susan, who married in Penicuik North in 1981, are part of a group of five or six people around the same age who went on to be ordained into the ministry of the Church of Scotland from that congregation alone. Derek is lead chaplain at Highland Health Board and chaplain to Raigmore Hospital in Inverness. Susan says her faith was nurtured by both ministers at Penicuik North, and by her involvement not only with Sunday School, Youth Group and Scripture Union but also by links with Youth With A Mission. It was in those early formative years that she sensed a call to the ministry of the Church of Scotland. She studied theology at New College in Edinburgh and served as a probationer at St Giles’ Cathedral for two years, and was then called to Killearnan on the Black Isle. Just over a year into her ministry, Susan discovered she was pregnant with her son, Simon, now aged 31. She braced herself to resign, but instead found the news at the Kirk Session greeted with a bottle of celebratory champagne. It is the privilege of leading worship among people who let you in on all the highs and lows of their lives – the beautiful and the messy moments. 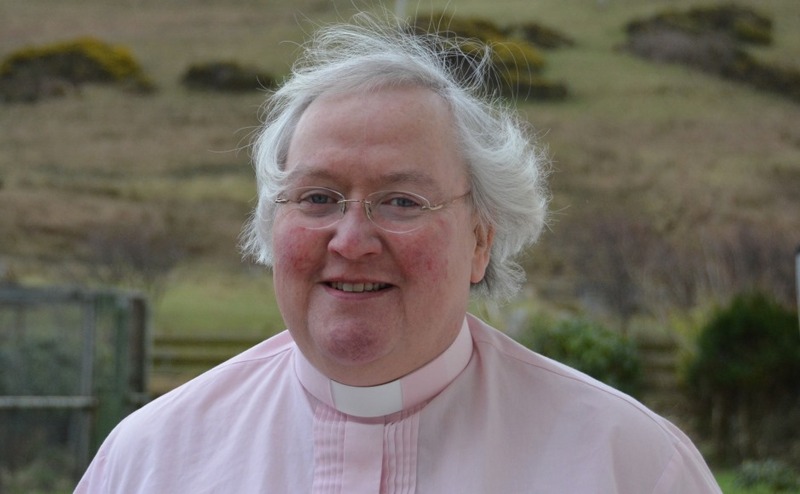 In 1998 she moved to Dornoch – ‘it seemed a good time to consider a move’ – and her two decades there have seen the congregation throw itself into serving the community, with a successful application to the Church of Scotland’s Go For It fund resulting in the appointment of a Community Outreach Worker. Her eyes light up as she talks about the many projects the congregation has been involved in as a result – including Natter and Nosh, a fortnightly lunch club and a weekly club for adults with learning disabilities, another to help with developing cooking and social skills through a bakery project (and a separate one for schoolchildren with learning disabilities) – and a new project, still in development, for men in sheds, linking with a local CrossReach care home. Being visible and a huge part of the local community – Dornoch Cathedral lies at the very heart of the Highland town – Susan is also passionate about creative worship. “At Lent and Easter we have created all sorts of experiences to help inspire people to look more deeply at living and growing in faith. “That leads on to services every night during Holy Week when we get about 60 to 70 people attending each night. 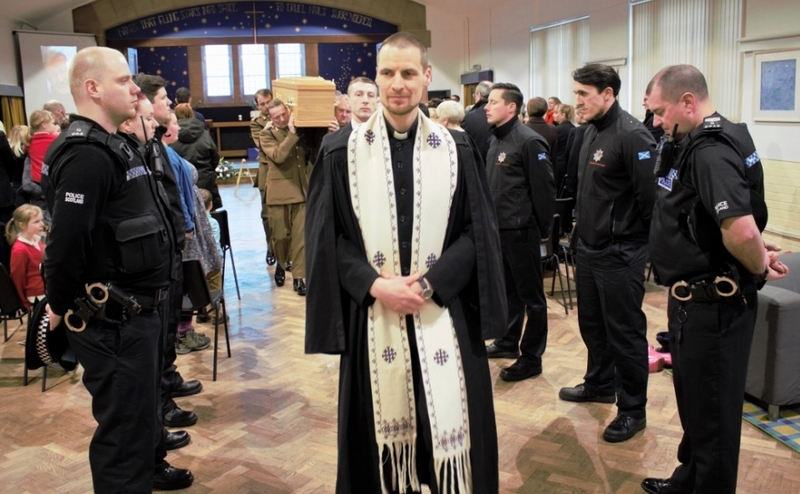 “We do a dawn service on the beach on Easter Sunday morning, followed by breakfast and the main service. Then at night we do an Emmaus Road communion when we follow the two disciples and create often a big circle in the crossing round a table set for dinner. Her theme of ‘Walking with’ is going to be at the heart of all she does during her year of office as the Church’s ambassador. A longer version of this feature appeared in May's Life and Work magazine. Download or subscribe here. Rev Susan Brown will become Moderator on Saturday 19 May as part of the General Assembly. The General Assembly runs until Friday 25 May at the Assembly Hall in Edinburgh. You can keep up to date with the week’s events here.